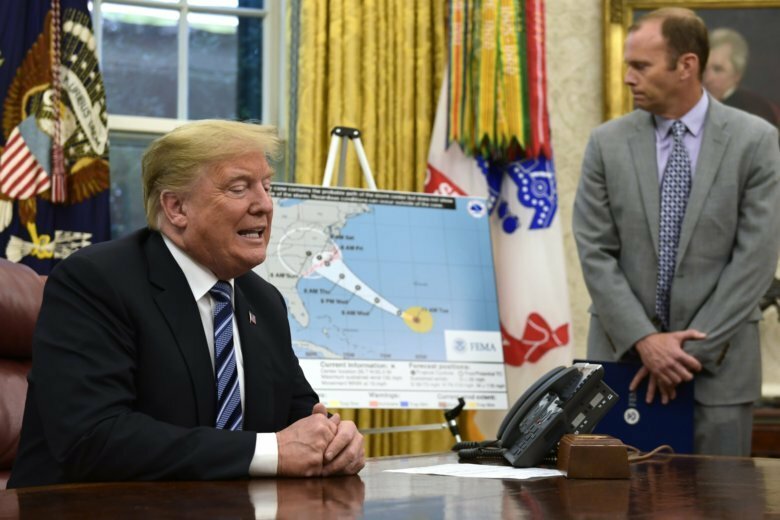 WASHINGTON (AP) — In a stormy week, President Donald Trump blustered and distorted reality, denying massive deaths from a hurricane that scientists believe to be one of the nation’s deadliest and blowing out of proportion U.S. economic growth and his role in spurring it. Median U.S. household income — the level at which half of the U.S. population earns more and half less — grew 5.1 percent in 2015 and 3.1 percent in 2016, during the Obama administration. It was the fastest two-year growth on records dating to 1967. In 2017, Trump’s first year in office, median income grew at a slower pace of 1.8 percent to reach what technically was an all-time high, adjusted for inflation, of $61,372. Congress allocated $1.6 billion for the wall and related security measures this year. The administration requested an additional $1.6 billion next year to add 65 miles (104 kilometers) of wall in Texas’ Rio Grande Valley but has not received any of it. Legislative leaders in the House and Senate pledged agreement this past week on a short-term spending bill that would not address wall money. GOP leaders have said they preferred to resolve the issue after the Nov. 6 elections. Trump is correct that wall construction is underway in San Diego — as well as Santa Teresa, New Mexico, and Calexico, California — but it replaces or fortifies existing barriers. Barriers currently blanket 654 miles (1,046 kilometers), or roughly one-third of the border with Mexico, much of it built under President George W. Bush. TRUMP: “3000 people did not die in the two hurricanes that hit Puerto Rico. When I left the Island, AFTER the storm had hit, they had anywhere from 6 to 18 deaths. As time went by it did not go up by much. Then, a long time later, they started to report really large numbers, like 3000….” ”This was done by the Democrats in order to make me look as bad as possible when I was successfully raising Billions of Dollars to help rebuild Puerto Rico. If a person died for any reason, like old age, just add them onto the list. Bad politics. I love Puerto Rico!” —tweets Thursday. Blackouts still remain common; nearly 60,000 homes are covered by only a makeshift roof not capable of withstanding a Category 1 hurricane; and 13 percent of municipalities lack stable phone or internet service. TRUMP: “The GDP rate (4.2 percent) is higher than the Unemployment Rate (3.9 percent) for the first time in over 100 years!” — tweet Monday.